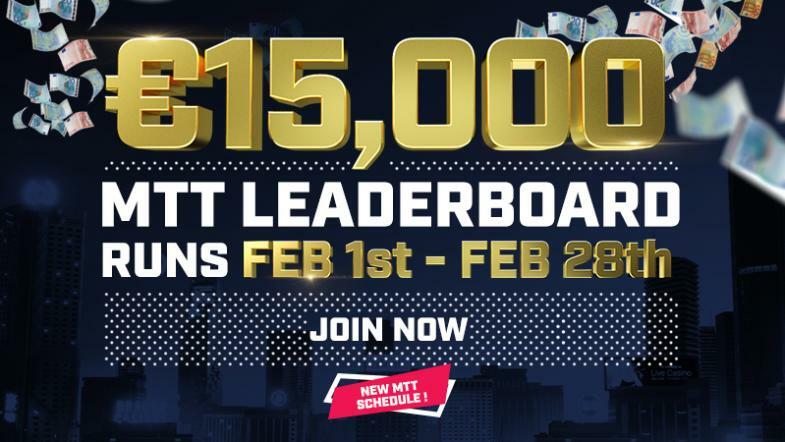 Time to make your 2019 a year to remember as we kick off HighStakes Feb Tournament Leaderboard. €15,000 will be spread out across the Top 25 Finishers with a min cash of €25 and the winner taking home €2800. Payouts are in cash paid by March 4th. Players must use their total winnings value to play in future tournaments before prizes become eligible for withdraw.